Progressive Pop/Rock with Jazz Elements; An eclectic array of songs that goes from ballads to bayou gumbo. Songs about places in Louisiana and places in the heart. 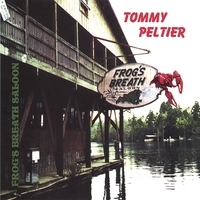 In 1999, the CD "The Frog's Breath Saloon" was released. Once again longtime friend Grammy nominated producer Jay Donnellan proved to be the perfect match for Tommy\'s music.